Newsademic Issue 346: Venezuela – what next? A group of space scientists organised simultaneous press briefings in six countries, or all around the world. Their announcement did not disappoint. The scientists revealed the first-ever image of a black hole. Black holes are one of the most powerful and mysterious space objects. Some have described them as ‘a one-way ticket out of the Universe’. 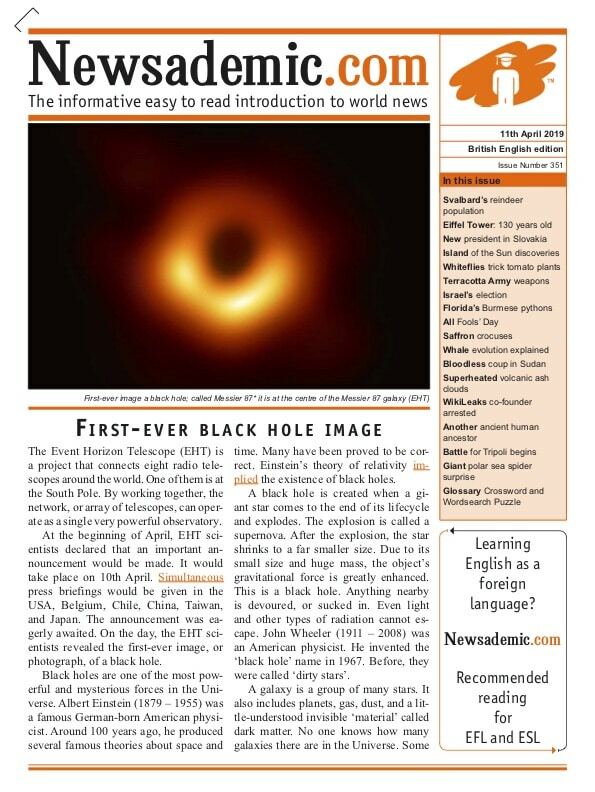 In this issue, we explain how the black hole image was recorded and why it is an iconic picture. (those with an * have accompanying activities/worksheets). 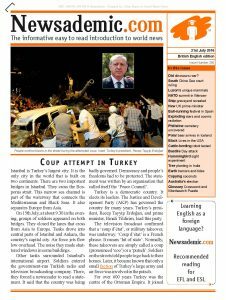 Renewing a current subscription early? Your renewal will automatically activate immediately after you current subscription expires. You can therefore renew at any time.